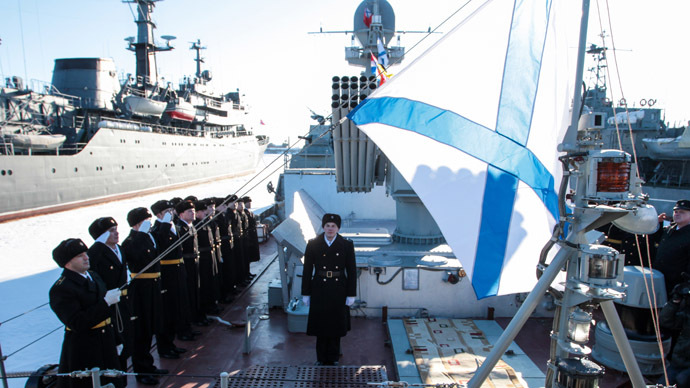 Russia will dispatch a permanent group of five to six combat ships to the Mediterranean Sea, Russian Navy chief Admiral Viktor Chirkov said. Frigates and cruisers will make up the core of the fleet. "Up to five or six ships must be on a permanent basis in the Mediterranean Sea. They should be controlled through the command of the Black Sea Fleet," Russian TV channel Zvezda quoted Admiral Chirkov as saying. Supply vessels will also be included in the permanent deployment to the Mediterranean. The decision to send Russian ships to the Mediterranean's waters was first announced on March 11 by Defense Minister Sergey Shoigu. "I think that we have everything to create and maintain such a grouping. 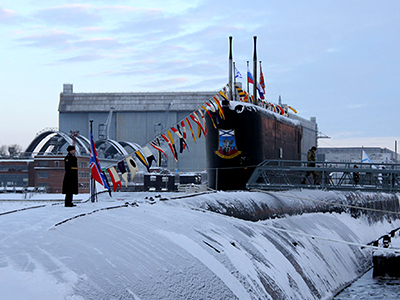 Certainly, this shows the positive dynamics of development of the Navy," Shoigu told top officers of the Russian Armed Forces. 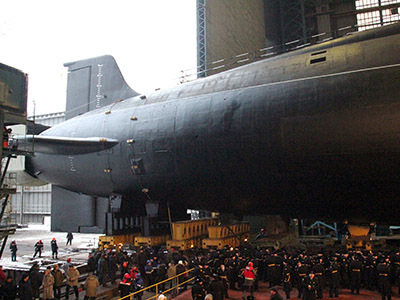 By 2020, the Russian Navy will include eight missile submarines, 16 multipurpose subs and 54 combat ships, he added. Chirkov said that top Navy officers are currently in the process of strategizing the deployment of a combat group to the Mediterranean. 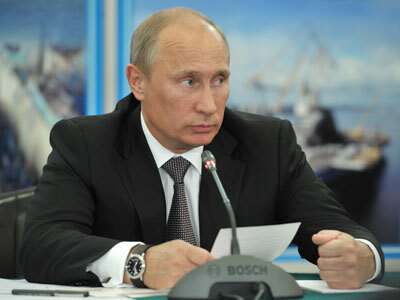 He also said that Russia is prepared to send combat ships to the Pacific and Indian Oceans. "There was an experience in the history of the Navy when we had squadrons in the Indian and Pacific Oceans. Of course, if needed, we will [advise] the Defense Ministry's top officials, the government and the President [on the deployment of] task forces on a permanent basis there," Chirkov explained. A Russian fleet operated in the Mediterranean Sea from 1967 to 1992. At the time, Russia's Fifth Mediterranean fleet of Navy ships, consisting of at least 30 to 50 vessels, was intended to counter the US Navy's Sixth Fleet. 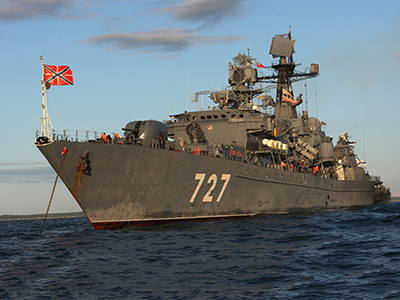 In the meantime, Baltic fleet ships are off to the Gulf of Aden to protect vessels from pirate attacks. Combat ship “Neustrashimy” accompanied by a tugboat and a tanker, has left the port of Baltiysk, which is located in the Kaliningrad region, heading for the west coast of the African continent, where it will ensure the safety of civil navigation. It will be the third anti-pirate trip for the Russian frigate and will last for several months.